Don't get too excited. It's not discounting any of its prices. 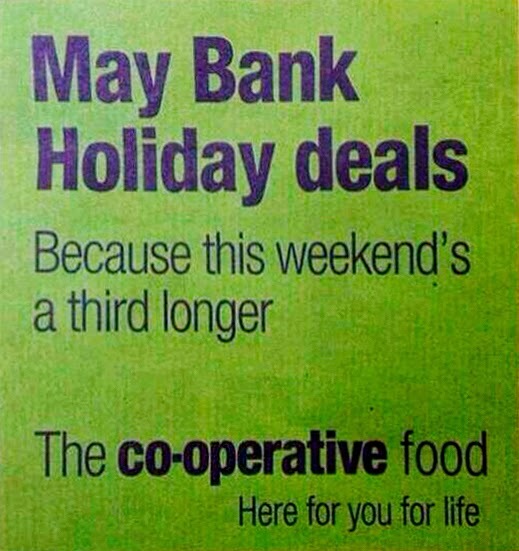 No, last week the Co-op offered a 16.67% reduction to your Bank Holiday weekend. One day added to two, Co-op, makes the weekend a half longer. Not a third. You may be good with food. But you're rubbish with Maths. Probably a good thing you're not running a bank.